Butler Snow Advisory (BSA) is proud to announce the launch of Intentional Faith, the second book authored by BSA Principal Martin Willoughby. Intentional Faith has been praised by spiritual, business and political leaders throughout the Mid-South for its “well-considered, practical wisdom” about leading a Christ-centered life. All proceeds from the book have been committed to Christ-led non-profit organizations, including ministries such as the Fellowship of Christian Athletes, an interdenominational Christian sports ministry dedicated to seeing the world impacted for Jesus Christ through the influence of athletes and coaches. Martin Willoughby is a Principal of Butler Snow Advisory Services, a leading strategic consulting firm. A regular columnist and writer for such publications as Pointe Innovation, the Mississippi Business Journal and Mississippi Christian Living, he is a graduate of Millsaps College (B.A.) and Mississippi College (J.D.). Willoughby is also the author of ZOOM Entrepreneur, a playbook on how an entrepreneur should develop a business. 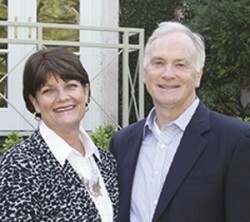 A native of Jackson, Miss., Willoughby lives in Germantown, Tenn., with his wife, Nicki, and their two children. To learn more, visit www.martinwilloughby.com. Raising a daughter, I think a lot about the workplace that she will likely enter in a few short years. She will find a significantly different marketplace than the one her mother, and particularly her grandmother, entered. There will be considerably more opportunities for her; however, I find that the world still sends very confusing messages to women in marketplace. Sheryl Sandberg, COO of Facebook, rekindled the public discussion about successful women in the marketplace with her best-selling book Lean In. She noted, “We can each define ambition and progress for ourselves. The goal is to work toward a world where expectations are not set by the stereotypes that hold us back, but by our personal passion, talents, and interests.” My interviewee this week, Ashley Pittman, is a great example of someone who has achieved success by following her own passion and interests. She is a successful attorney and has built a career in helping others. 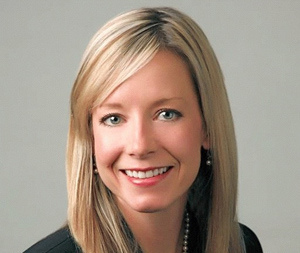 Pittman is a native of Jackson and earned her undergraduate and law degrees at Ole Miss. Upon graduation from law school, she clerked for a year with the Mississippi Supreme Court before joining the law firm of Stubblefield & Yelverton, PLLC. During her 15-year legal career she has also been raising two children and went back and earned a LLM in tax law from the University of Alabama. Today, her practice areas include Estate/Tax Panning, Asset Protection, Fertility Law/Assisted Reproduction Technology (ART) Law, Establishment of Parental Rights, Surrogacy, Embryo Donation and Adoption. In addition, Pittman serves as General Counsel for Hurst Review Services, an international test preparation company based in Brookhaven. Pittman is in the forefront of the emerging area of Fertility Law. She explained, “Through my estate planning and probate work, I became interested in the impact of modern fertility technology on both estate planning and parental rights.” Pittman serves Of Counsel to the International Fertility Law Group, Inc. and the Reproductive Law Group, Inc. She noted, “Fertility medicine and reproductive technologies are rapidly changing, and the law is trying to keep up.” Based on her expertise, Pittman was asked to write a chapter in Professor Debbie Bell’s book Bell on Mississippi Family Law, and Professor Bell has Pittman speak each semester to her family law class at Ole Miss on the topic. I asked Pittman about the secrets to her success in juggling a busy career with family and other life responsibilities. She noted, “I have been very fortunate to work with colleagues who have provided me flexibility over the years.” For young women, she emphasizes that there is a way to find some balance but you have to work hard to achieve it. She said, “Females need to approach the work force with a strong positive attitude. As long as they do that, good things will follow.” Pittman also shared, “The career path that you may envision today may change as you progress. As you gain life experience, you will also gain new interests and passions. Allow your path to change and adjust your goals along the way.” We also discussed how important it is to ask for what you want. While you may not always get exactly what you want, you never get what you don’t ask for. Mississippi has many success female professionals and executives. Many of these are acknowledged each year in the MBJ’s Top 50 Leading Business Women. I was encouraged by Pittman’s positive attitude, her passion for her work, and her encouraging words for future generations of Mississippi’s women leaders. I hope you will be too. Most leaders know the importance of creating high-performance teams within an organization. However, the challenge is actually moving from theory to execution in creating winning teams. Great leaders know how to mobilize teams and lead them to accomplish their full potential. In their book, The Wisdom of Teams, Jon Katzenbach and Douglas Smith describe a high functioning team as with one with “a number of people with complementary skills who are committed to a common purpose, performance goals, and an approach for which they are mutually accountable.” My interviewee this week, Freddie J. Bagley, Chairman of Community Bancshares, Inc., is one of those leaders who has harnessed the power of teamwork to achieve tremendous success. Bagley, a native of Forest, first learned about building great teams as a student-athlete at Forest High School. He credits his high school coaches and teachers including Ken Gordon, Ken Bramlett, and Milton Walker with teaching him that, “a good team that works together will always defeat a team of stars.” Bagley went on to East Central Community College where he was an All-Star quarterback, and then Mississippi College where he graduated with a degree in Mathematics. After a brief teaching and coaching career, Bagley was recruited by Thomas Colbert to join Farmers and Merchants Bank (now Community Bank) in 1976. The rest, as they say, is history. Bagley has the spent the last 38 years developing as a leader and helping the organization grow from a $17 million dollar bank to one with over $2.5 billion in assets. Bagley explained that his philosophy has been to put the customer first and treat each one with dignity and respect. He said, “To have a customer focused business, you must have the best people all working with the same purpose in mind.” He also shared, “One thing that I learned at an early age about leadership is that you have to give up some of your personal goals to accomplish team goals.” Bagley has put these principles into practice over the years with great success. Today, Community Bank through its family of companies has 41 offices across the South with over 670 employees. In addition to his leadership at work, home and in the community, Bagley is also a leader in his industry. 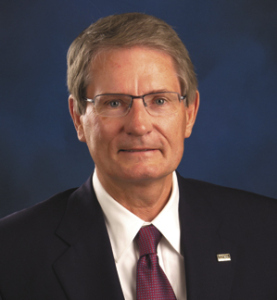 He is currently serving as the 126th Chairman of the Mississippi Banking Association. He noted, “The MBA has a top notch staff and as an association, we have to keep finding things that we can all agree on. We must remain unified and work together on the things that are important to Mississippi banking.” I am sure Bagley will continue to bring his team-based philosophy to this role as well as his other leadership positions making a positive difference for the state. As a young businessperson, one of the most influential books on my thinking was Stephen Covey’s “The Seven Habits of Highly Effective People.” One of the seven habits he described was to “begin with the end in mind.” I continually come back to this important idea. As the old expression goes, “If you don’t know where you are going, then any road will take you there.” If we don’t know where we are heading in life or business, then we are simply consumed in busyness with no clear purpose. We are like Taz, the Tasmanian devil Looney Tunes cartoon character, whirling around in a frenzy of motion. Okay I know I may have dated myself a little with that reference, but at least my younger readers have access to YouTube and can check out Taz! As much as we might want to deny the fact, we are all mortal and have seasons of life. Businesses similarly have seasons as well. There are the exciting startup days when passionate entrepreneurs try to launch businesses into existence. For those businesses that survive this phase (most don’t), they hopefully enter a nice phase of growth as they scale toward their full potential. At some point, most businesses plateau and begin a gradual decline until they reach some end point such as dissolution, bankruptcy or sale. Of course, mature businesses can have seasons of growth and renewal as well, with new products or services, and a very small number of companies will eventually become publicly traded. I used to do a fair amount of estate planning. I found that most people don’t like to talk about planning their estates. I get that. Making plans for dying is not exactly on anyone’s Top 10 list of fun things to do. Similarly, I find that very few business owners spend much time talking about the inevitable transition of their business. Since there is still a 100 percent mortality rate, the question is not if, but when, a transition will occur in a business. Business transitions are not all triggered by death. For example, the triggering event could also be a partnership dispute, disability, divorce, or simply a desire to work less or retire. I have found that there are some common reasons why people put off thinking about succession/exit planning for their business. Probably the most common is simply the tyranny of the urgent. The pressures of the “now” take precedence, and long-range succession planning stays unattended to in the important, but not urgent, bucket of things to do. Others are uncomfortable discussing this topic with family or partners, so they simply don’t. Some owners simply don’t have the advisors around them to properly think through the issues. Successfully operating a business and successfully transitioning a business are two different things and usually require different skill sets. Chris Mercer, founder of Mercer Capital, presents a compelling case in his book “Unlocking Private Company Wealth” that there is a tremendous need for business owners to better keep the end in mind and consider ways to diversify their wealth away from their closely held business. For more than 75 percent of business owners, their business represents more than 50 percent of their net worth. Mercer points out that most people spend more time professionally managing their liquid wealth (e.g., stocks, bonds, etc.) than they do their illiquid wealth (their business). Managing your business is not exactly the same thing as managing the asset of your business. By viewing your business as an asset, you can reshape how you view your expected returns and target performance. Do You Have a Plan for Involuntary Transitions? I’m amazed at the number of successful businesses that don’t have a written plan for involuntary transitions like death, divorce, disability and shareholder disputes. While you can’t plan for every contingency, it is highly advisable to make sure that you plan for some common situations that can occur. This is typically done in the form of a buy-sell agreement with the owners of the business. I also recommend that business owners (particularly sole owners) have written instructions on how they want the affairs of the business to be handled and keep critical information easy to find. I lost a business partner at a very young age, and I learned first-hand how important this type of planning is for the business and the family. It is easy to procrastinate on these issues, so don’t delay! Do You Have a Plan for Voluntary Transitions? I regularly visit with business owners who desire to spend more time away from their business to better enjoy their family and golden years. The challenge is to define a target date for a transition from the business and what that transition actually means. I find that some people want to always stay engaged with the business while others would like to hand off the keys and sail into the sunset. It is important to clarify your personal goals so you can plan for a successful transition. Have You Identified Who You Would Like to Take Over Your Business? Is there a family member who has the aptitude and interest, an employee or perhaps a third party? Answering these questions will be critical to developing a realistic plan for succession. Most importantly, you want to begin as early as possible in your planning. I find many family-owned enterprises plan three to five years in advance. If you are behind in your planning, the best time to start is today! Do You Know the Value of Your Company and Your Financial Needs? Many business owners don’t really know the value of their business. Savvy owners often have an annual appraisal to see how their asset is performing. It is important to be able to look objectively at your company’s valuation. Remember, a business is only truly worth what someone will pay for it. I also encourage business owners considering a transition to carefully evaluate their cash flow needs. Often, owners fail to consider all of the “perks” that they enjoy as the owner of the business that they would not have if there were a different owner. I recommend a thorough review of the cash flow needs of owners so that they don’t find themselves cash poor after a transition. It is easy to mistake succession planning as a transaction rather than a process. In reality, business owners should be treating their business as an asset and actively managing that asset in addition to managing the business. They should consider their investment returns and whether they are growing their wealth. In addition, proactive planning for the inevitable transitions that will occur is simply the prudent thing to do. There is a tremendous amount of wealth that will be transitioned in the upcoming years (estimated to be as high as $ 10 trillion). This is an important topic that I hope thoughtful business owners will actively address. [Originally published in Pointe Innovation, the quarterly publication of Innovate Mississippi, in its Winter 2014 issue.